Rock-star type oceanfront beach house, with endless luxury amenities. 90 feet of oceanfront on prestigious Dune Road (the 600 block, closer to the bridge / town) Savvy Hamptons travelers head for Westhampton Dunes: family oriented,the closest Hampton, & the very best beaches. see our websites: www.Facebook.com/DuneRoadRental (includes numerous photo albums) www.TheSphere.com/direct_embed/509934 (Sphere 360 degrees virtual tour panoramas) www.YouTube.com/user/DuneRoadRental (includes virtual house tour & instructional videos on amenities) http://DuneRoadRental.yolasite.com (welcome website, house instructions, local guides, incredible videos, photos) More exclusive & private: only homeowners or our guests can access our beach. Bay access rights. 180 degree beach / oceanfront views. Not just for Rock Stars ! TV & Movie Stars Too. House featured / requested for numerous TV reality shows, rap videos. 180 degree beach / oceanfront views. 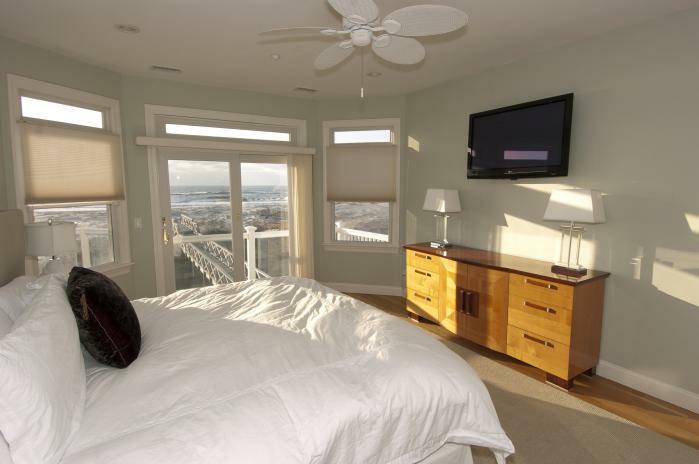 Fully loaded luxury “rock star” beach house: 3 levels, 2 full decks + 2 mini decks on 3rd level. Expansive belgian block driveway fits several cars, as well as 2 car covered garage. Central a/c, central vac, plasma TV's and full bath with each of 6 bedrooms (+ 1/2 bath guest bath on main level). Heated and lit gunite pool; top-line 4-adult spa / jacuzzi for year round use (covered by ceiling); extensive new outdoor furniture. Dual master suites on 2nd floor. Daytime loft play area for kids. State of the art Sonos audio system; Apple TVs; plasma TVs in every bedroom. Off Season Wonderland: Vineyards/Wine Tasting, Bicycling & Walking on Dune Road; we have 2 bicycles & helmets in the garage), Jacuzzi (all weather - covered by deck), Sauna, Live Music, Antiquing, Estate Sales, Shopping/Tanger Outlets, Farmers Markets, Aquarium, drive to Montauk, Fishing, No summertime Traffic! 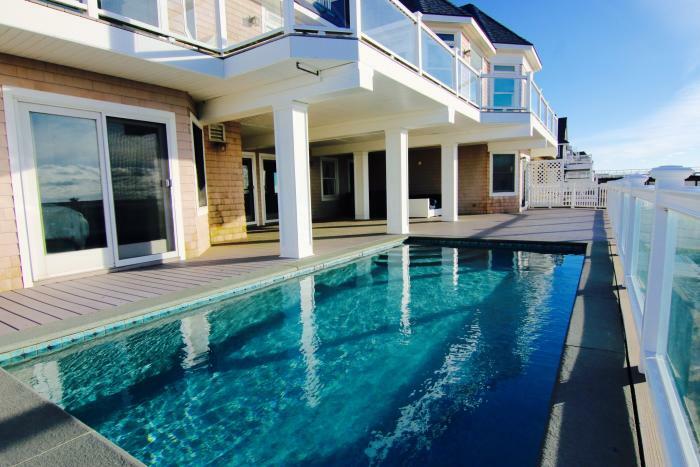 This rental is located in West Hampton Dunes, New York 11978 and has 7 upcoming nearby events. 2018 US Open Golf and is located 15.7 miles away from Shinnecock Hills Golf Club. 2020 US Open Golf and is located 56 miles away from Winged Foot Golf Club. 2019 PGA Championship and is located 39.8 miles away from Bethpage Black Course. 2018 US Open Tennis Championships and is located 59.9 miles away from USTA Billie Jean King National Tennis Center. 2018 Hamptons International Film Festival and is located 29.7 miles away from Hamptons International Film Festival Office. 2019 Hamptons International Film Festival and is located 29.7 miles away from Hamptons International Film Festival Office.